Breath of Fire is a role playing game that was developed by Capcom. The English translation and localization was handled by Square Soft and the game was released in North America in 1994. Breath of Fire is a typical example of a Japanese RPG from the 16-bit era. Like most RPGs, Breath of Fire is fantasy based. You play the role of a boy named Ryu who is one of the last of an ancient race of beings that can transform into dragons. He has misplaced his sister and is searching the world for her. Along the way you will fight many battles (thankfully turn based) and meet up with others with similar quests. While originally developed for the SNES, Breath of Fire was also released for the Game Boy Advance in 2001. This version was almost identical to the SNES original. It had some minor graphical improvements but the biggest practical change was that you could save anywhere instead of only at certain places. Breath of Fire received generally positive reviews and ultimately spawned numerous sequels on various systems. In addition to the Game Boy Advance port, Breath of Fire was also re-released via the Nintendo 3DS Virtual Console in 2016. If you want an original copy, you’ll probably have to pay a fairly high price…something close to original retail for a used copy anyway. Emulation, as always, is an option too. 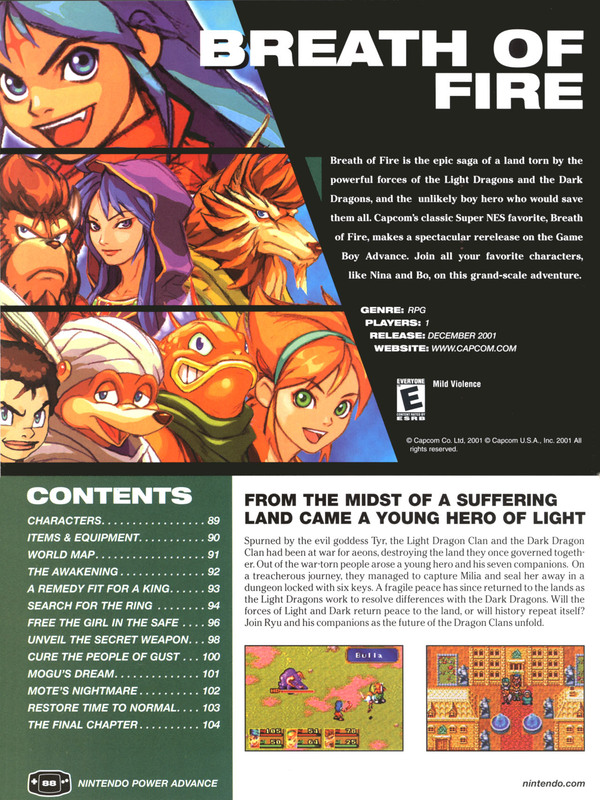 The image at the top is the intro to the strategy guide in issue number 3 of Nintendo Power Advance for the Game Boy Advance version of the game. Other images are screen shots from the Super Nintendo version. The intro to ‘Strider’ on the Sega Megadrive. Strider is an excellent early platform game by Capcom. While I am most familiar with the NES version, it was first an arcade game and ultimately ported to a number of systems. The NES version is somewhat unique in that it was developed along side the arcade version whereas other versions were ports of the arcade game though all versions are similar. The NES version was also released exclusively in North America. The game is set in 2048 and you play the role of a hi-tech ninja as part of a group known as the Striders. Your goal is to assassinate a mysterious dictator known as the “Grandmaster” who controls the world. The protagonist, Hiryu, has shown up in other games like Marvel vs. Capcom. While I played the NES version and it was one of my favorites, the Genesis version released a little later is commonly recognized as the best of the original ports. There were also a number of 8-bit computer ports that, while not as graphically appealing or as good in general as the Sega version, were still very good games. There were also Japanese only ports on the Sharp X68000 and PC-Engine CD-ROM2 with the Arcade Card expansion. Later it was also released for the PlayStation, PlayStation 2, PSP and Xbox. There were a couple of sequels and remakes. Strider II or Journey From Darkness: Strider Returns was released for various home computers, Sega Genesis, Sega Master System, and Game Gear. There was also a Strider 2 later released for the PlayStation. More recently, a reboot simply titled Strider was released via the PlayStation Network for the PS3 and PS4, Xbox Live Arcade for the Xbox 360 and Xbox One, and on Steam. The above screenshots are from the Sega Genesis version. This is probably the version I would most recommend you try if you have never played but if you are more of an NES fan I wouldn’t hesitate to recommend that one either. That was the one I played and I loved it. 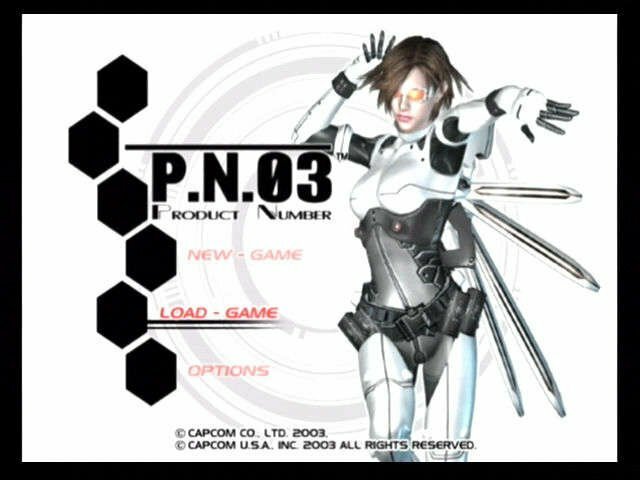 P.N.03 is perhaps one of Capcom’s more obscure games. However, that obscurity comes from the fact that this title was released exclusively on the GameCube and was not one of Capcom’s better games. P.N.03 was released in 2003 and is short for Product Number Zero Three. It is more or less a fairly generic third person shooter and the plot bears at least a passing resemblance to I Robot (the Will Smith movie) with a little bit of Orphan Black thrown in. Though to be fair, this game preceded both. 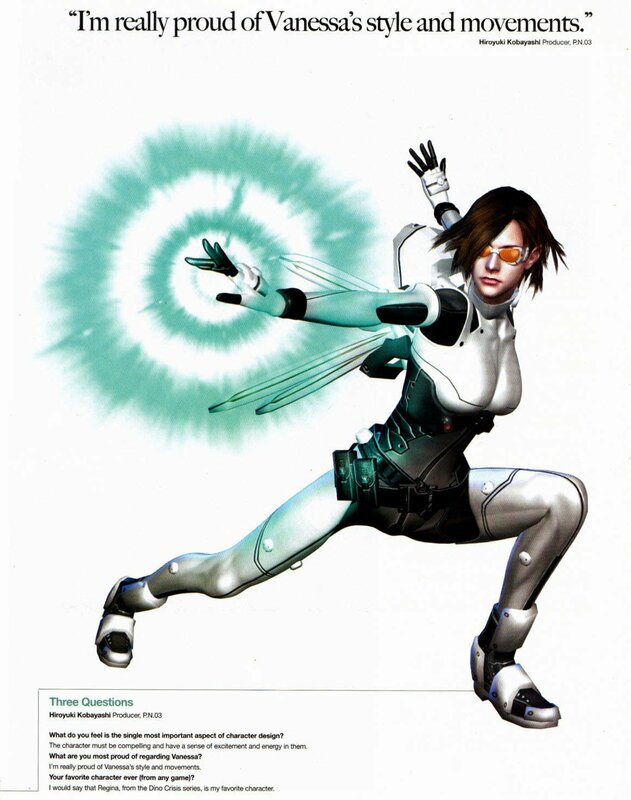 In P.N.03 you take the role of Vanessa Z. Schneider (pictured above from Girls of Gaming) who is hired by an unknown client to destroy the robots of Computerized Armament Management System that have run amok. Along the way Vanessa discovers a clone of herself and receives a message from her client who also appears to be a clone and the plot thickens. However, it doesn’t really go anywhere because that’s the end. Because of financial problems Capcom was having at the time, development for this game was rushed. The rather shallow plot is one of several problems with the game. Despite the intriguing sounding twists described above, the game is really just about blowing up robots, not that there is anything wrong with that. 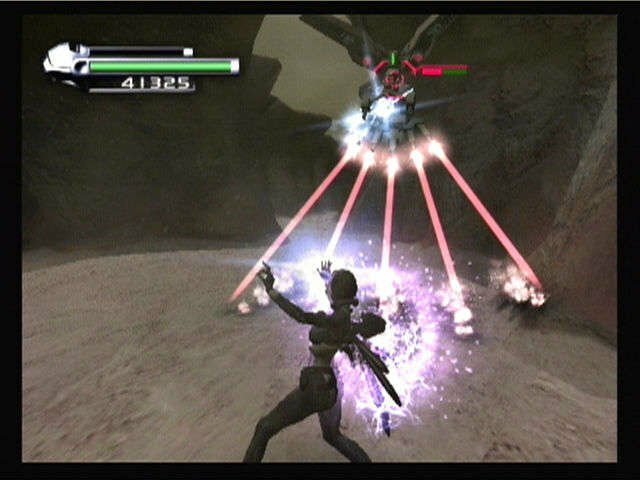 P.N.03 also had some odd gameplay mechanics like not being able to shoot while moving. There was also an emphasis on defensive action which seems a little odd when you are supposed to be destroying robots. At the end of the day, there was just too little variety and too much repetition. However, the gameplay may remind you of more classic arcade play, just with updated graphics. P.N.03 has never been re-released as far as I know. It was the first game of the “Capcom Five” which were five games that were originally supposed to be exclusive to the GameCube and introduce new intellectual property. Of those five games, one was cancelled and only P.N.03 remained exclusive to the GameCube. P.N.03 can still be had pretty cheaply . It may be one of those games destined to rise in price though as it never sold particularly well and despite its flaws, it really isn’t a bad game.